Keeping your carpet in mint shape makes sense for your home's style, your health, your wallet, etc. 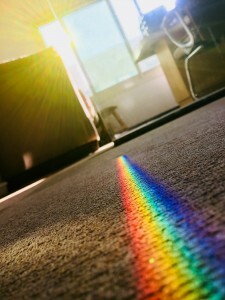 To learn how to extend your carpet's lifespan, read this post by Augusta Cleanpro in Augusta, GA. Call Augusta Cleanpro at (706) 825-7522 if you require a professional team to keep your carpeted floors flawless for years to come. The first thing you have to do is realize that if you want your carpeted floors to remain in mint condition for longer, you will need to enlist the help of every resident and guest of your home. To that end, it is recommended that you establish rules about how to treat the carpeted floors, and that you make sure that everyone in your household follows them thoroughly. For example, you should have everybody take their shoes off upon entering the house. This will keep all of the nastiness on the shoes' soles away from your floors, which will ensure they won't get as dirty and unsanitary as easily. If you have pets and they live inside your house, you need to take a few measures to protect your carpeted floors. For instance, you will have to potty-train them to avoid accidents on the flooring. Likewise, brush their fur, wash them regularly, and wipe them down if they've been outside. Lastly, you should avoid situations in which it's probable that an accident could happen. For example, avoid taking food from one room to another to prevent accidents and spills. As mentioned above, you should be taking some measures to avoid spills and accidents that could put your carpeting's integrity in peril. Still, when they inevitably happen, the best thing to do is to react quickly and appropriately to them. The faster you act, the more you'll reduce the possibility of they becoming a lasting stain on your carpeted floors. If the substance spilled was thicker, you should make use of a spoon to remove as much of the excess as you can (just be careful not to spread it). In any case, you can use a little bit of warm water on the stain. Then, grab a clean cloth and blot the area repeatedly to lift the stain off. Once again, it's important that you're careful, as if you scrub the stain, you'll only cause it to sink deeper into the carpet. After you've cleaned the stain, make sure to let the affected area dry thoroughly to avoid carpet mold development. Something to keep in mind is that you will need professional help if you want your carpeting to remain in top shape for a long time. Even if you take good care of it, it'll need a professional deep clean around once a year to strip it from nasty scents, stains, microorganisms, and more. A team such as Augusta Cleanpro will be able to provide the best results in regards to carpet cleaning. Their revolutionary method uses little moisture and makes your carpets flawless once more in a green and safe way. If you're searching for a professional and dedicated team to clean your flooring expertly, trust in Augusta Cleanpro. Call (706) 825-7522 to set an appointment for carpet cleaning in Augusta, GA.
Needless to say, if you're truly interested in your carpeting's well-being, you need to provide regular maintenance to it to ensure that all of the dust, dead skin, bugs, and other filth that makes its way to it won't get the better of it. For that reason, it is strongly suggested that you vacuum your carpeted floors thoroughly and regularly (around twice a week - not more, as you could loosen it up). To be thorough, vacuum one same spot slowly and in different directions. It's also suggested that you use the different attachments that come with the vacuum so you can reach every tight corner of your carpeted floors. Finally, there are other prevention methods you could employ to keep your carpet clean, pretty, and safe. For example, the use of a stain repellent, of rugs and mats on high traffic areas (such as hallways), and the rearranging of furniture every once in awhile, will help you protect the carpeting. Employing these methods is sure to result in a carpet that's in perfect condition for years and years to come. Call Augusta Cleanpro at (706) 825-7522 if you require professional, safe, green, and effective carpet cleaning in Augusta, GA.